For World Rhino Day, I spent the day with Doppsee and the staff of the Potter Park Zoo in Lansing, Mi. Doppsee is one of the two black rhinos there. (See previous post: In Love with Jello) Unlike my meeting with her roomie Jello, she is quite affectionate and seemed to enjoy the attention. 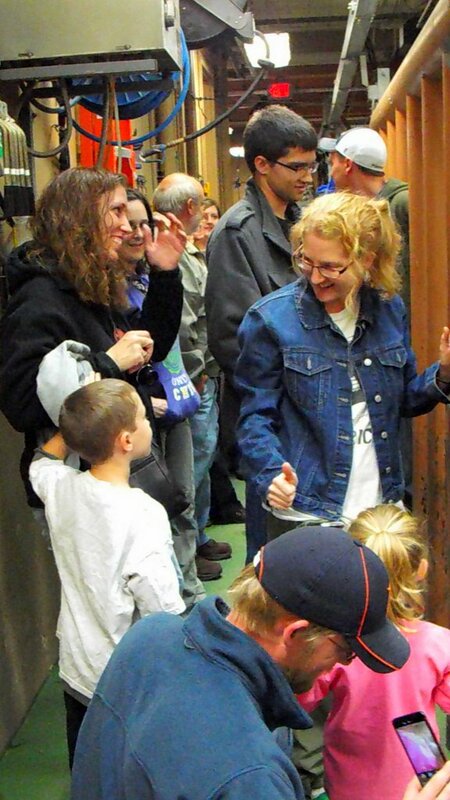 In addition to educational centers and a scavenger hunt, the zoo gave tours, allowing visitors what was probably a once-in-a-lifetime privilege of being up close and personal with a black rhino. It was dually educating and entertaining for adults and kids alike. Of course it was the most fun watching the kids’ faces light up when they saw Doppsee. They learned about Doppsee’s favorite treats (peppermints and peanut butter), how she has learned basic training in order to have vet checks done, and most importantly how endangered her species is. 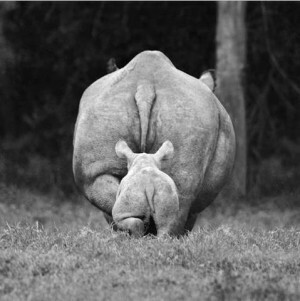 It is this kind of awareness that may help edge our rhinos closer to survival. The more they know, the more they care, and want to help. 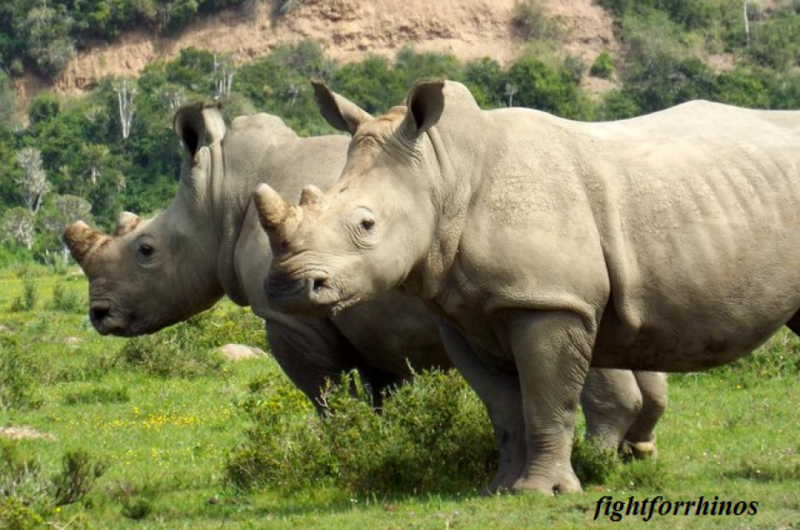 The proceeds from the tours will benefit the International Rhino Foundation. 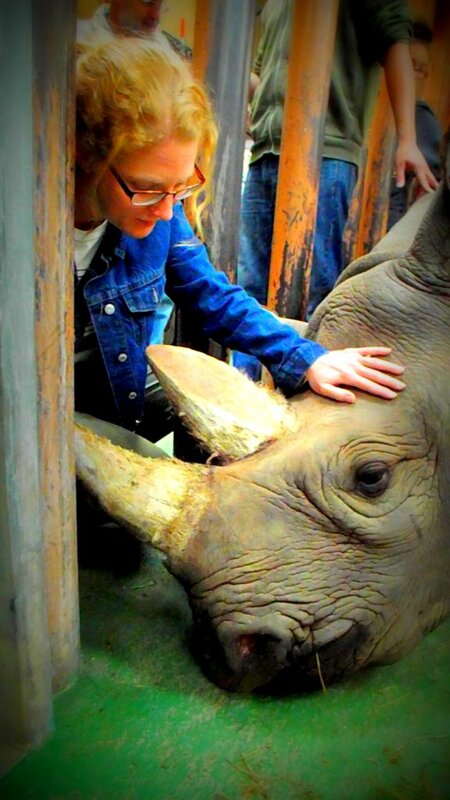 i remember the first time i got to pet a rhino(s). the full grown male was the most impressive thing! And he begged for belly rubs.. to start rubbing a giants side like that and have him collapse on the ground to show you his belly was the most amazing and humbling experience of my life. It’s an amazing experience to bring to be able to bring to people! It’s a great thing the zoo did. Nothing like it..